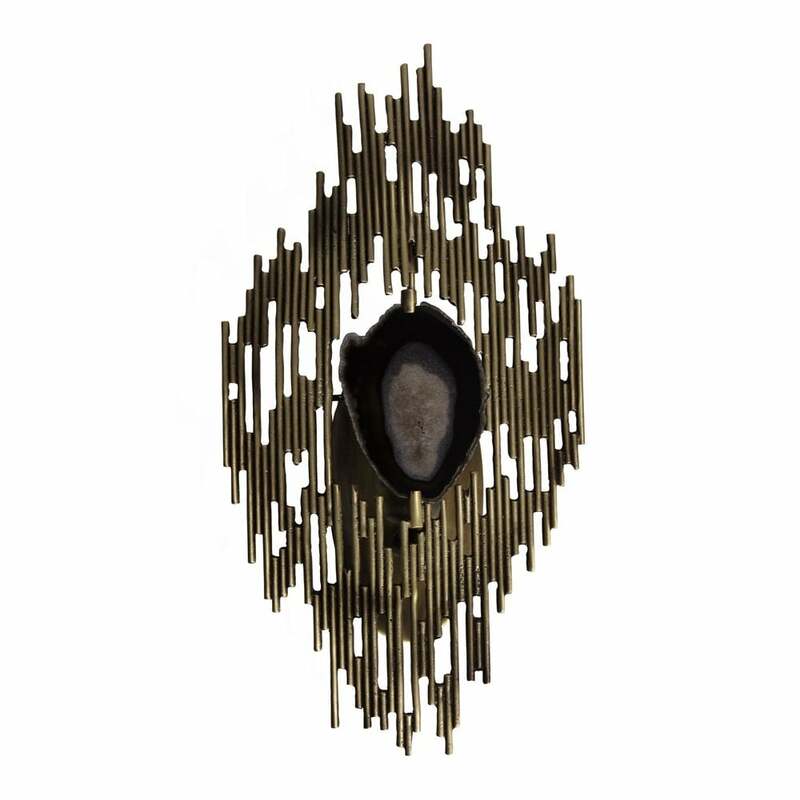 This wall light has exquisite vintage detail and a decidedly modern profile. The exquisite patterns and dark neutral tones in agate stone are uniquely captivating, enhanced by the gold metal which embraces the stone in perfect balance. Hand selected agate with light shining through, creates the perfect glow.